We’re part of the UK’s leading business design and print network. We’ve been based in Chiswick for over 30 years and provide a one-stop design and printing solution for businesses in Chiswick, Acton, Brentford, Hounslow, Hammersmith & Fulham, Wandsworth, West London and beyond and beyond who want to make sure they communicate the right message whenever they talk to their market. With our team of skilled designers and print specialists we can design, print and deliver everything you need from business stationery through to marketing collateral, training materials and exhibition graphics. 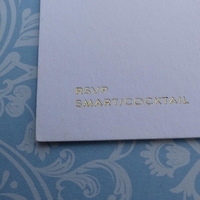 For your special celebration take a look at our new Instagram Stationery page - our bespoke print and design will help make your event just perfect! "Kall Kwik Chiswick provide us with a fantastic service, delivering great quality printing at sensible prices and often to short deadlines. They always go the extra mile and it's really appreciated."